Chapter 1.11 – Three too many! Yes Rosa had wanted a baby, but she hadn’t expected to get TRIPLETS! And especially not expected to raise them all alone. She never got any sleep, if Cole wasn’t crying it was Selana or Aryssa, and at the odd chance they were all sleeping, Patrick was asking for attention. She was lucky to have Leo, him and Patrick were practically inseparable now. And she was even more relieved that today was Patrick’s birthday. He would grow up and she would have one less baby to take care of. She was still paid for maternity leave, but soon she’d have to go back and pay for a babysitter which would empty her pockets fast. She realized what Alfie was talking about now. “Mom, mom, mom, mom, mom, mom!! !” Patrick said as he ran into the triplets room. 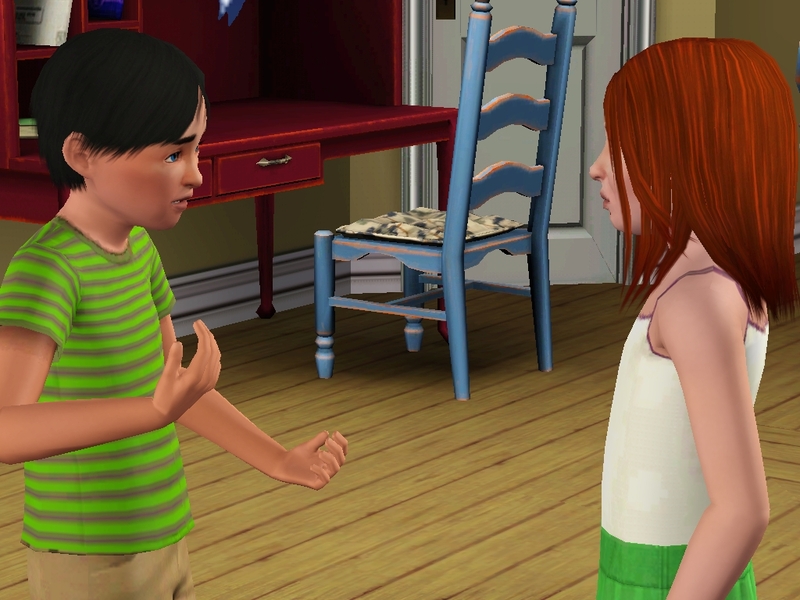 Rosa shushed him as she fed Selana. “That’s great but it’s still a no, now go do something else before you wake the others!” Patrick sighed and walked away. There was this place far from home with stones three times his size where he liked to hang out. There were a lot of animals there and he liked to watch them. 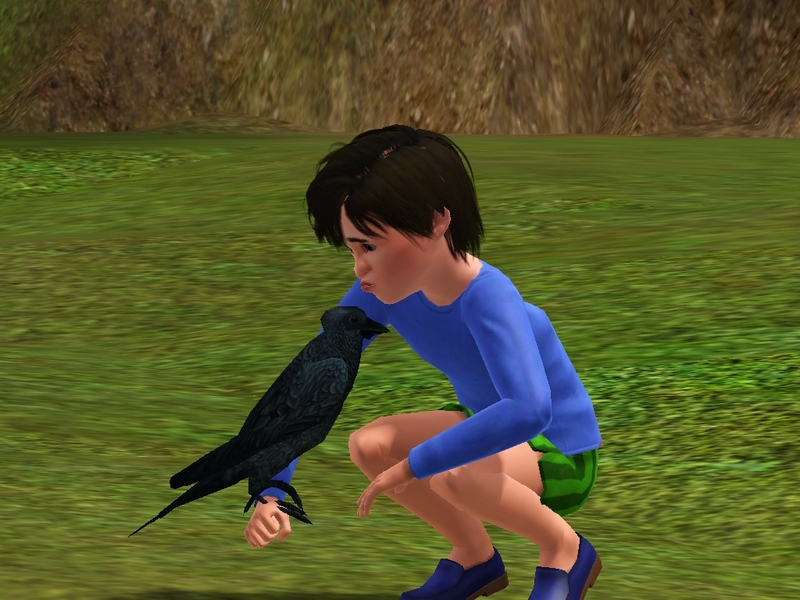 That day however he got up the courage and befriended a crow. If he couldn’t have a dog he’d have a bird annnnnddd a lizard while he was at it. 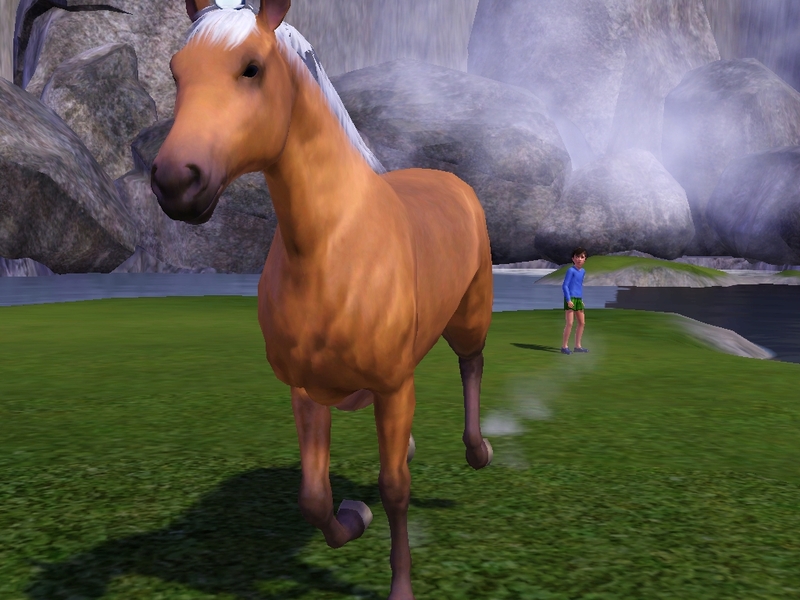 Then he went to his second favorite place, Stony Falls and there he saw a beautiful wild horse. 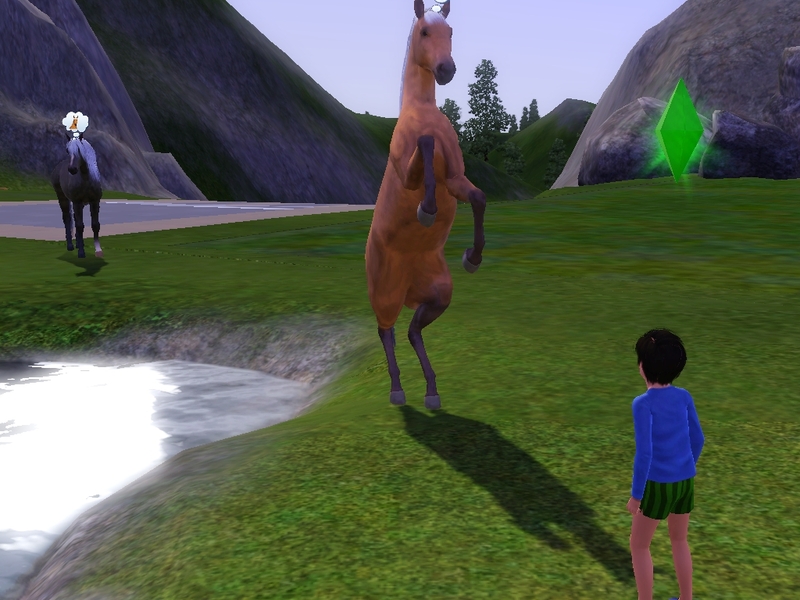 He watched in awe as it acted…well like a horse. 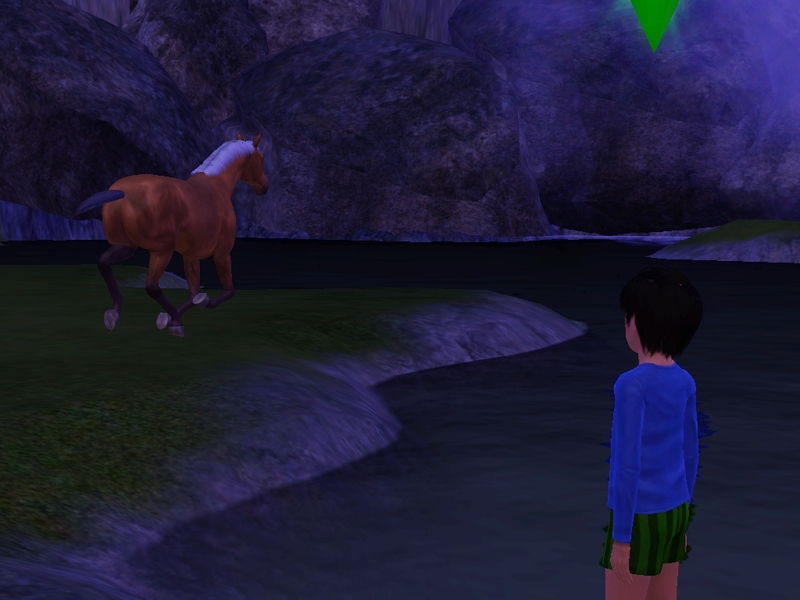 The horse must have been frightened and it started to trot away. Patrick started to run after almost bumping into yet another horse! That other one was also scared and reacted quickly. 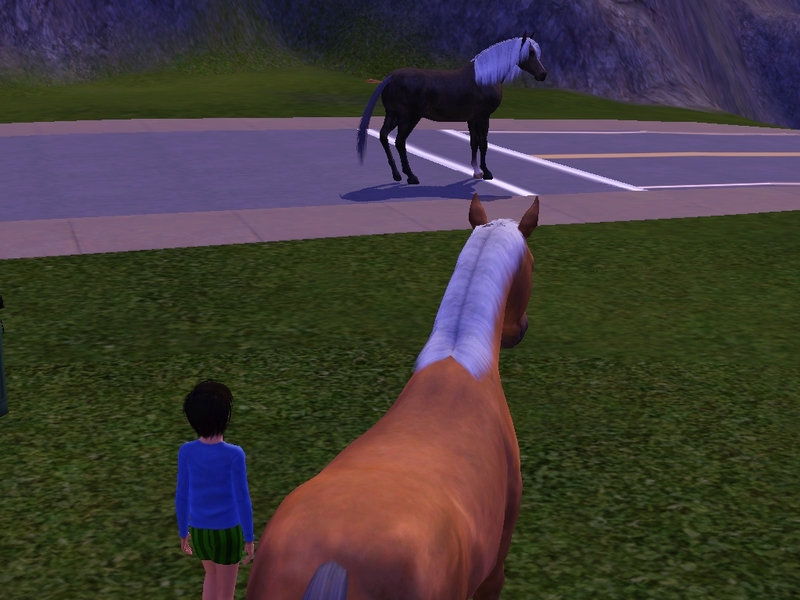 The first horse stopped to observe the scene, but Patrick was scared now. He was scared the horse would hurt him! But instead it turned heels and ran. Patrick was amazed he’d never seen so many horses before! Heck he’d never seen horses before! Patrick spent a little more time with the black horse, even managed to get the horse to sniff his hand. He was overjoyed and the other horse completely left his mind. But it seemed the beige horse did not want to be forgotten. The black horse was shy and would run away A LOT, but the brown horse would start to follow Patrick. 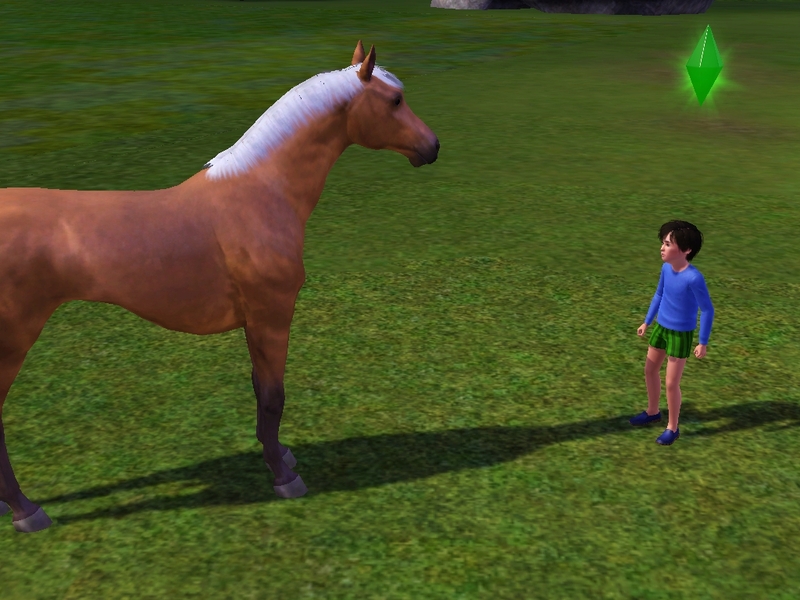 Patrick did his best to ignore the horse, scared that acknowledgement would mean scaring it off. He was so excited!! 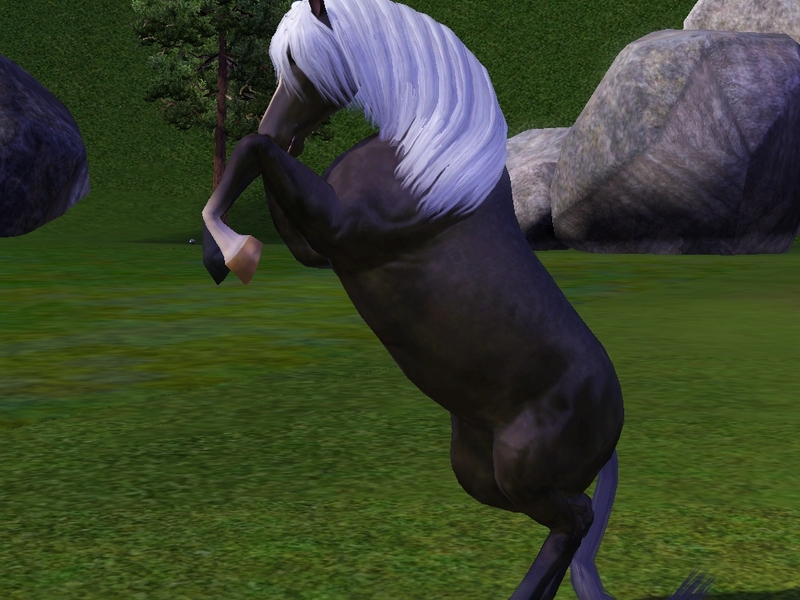 But the black horse was too shy and quickly and left the falls. 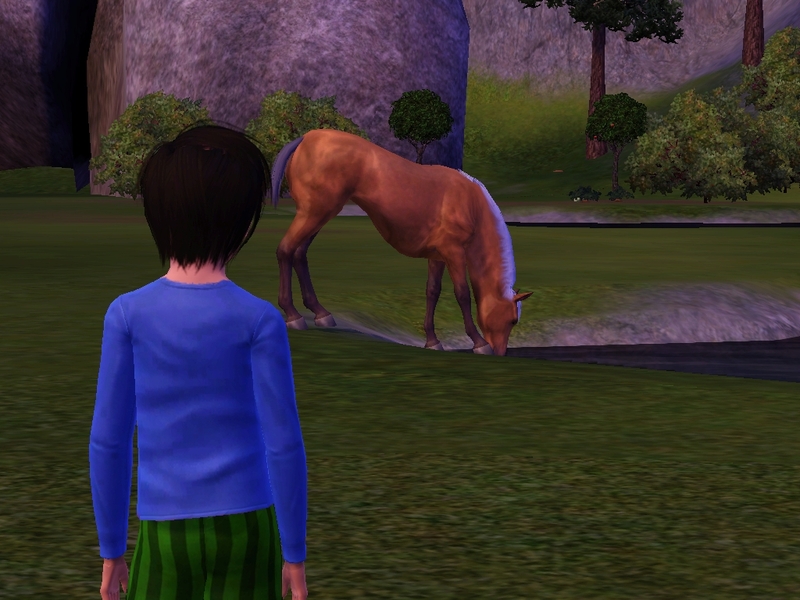 So Patrick turned his attention to the brown horse, and that’s when it decided to walk away and take a drink. It was playing hard to get. The moment Patrick would get close it would run away. Patrick was actually having fun and he wanted to keep playing, but it was getting late and his mother was probably worried. Yeah I know sorry for the missing pic, but Bebe got a baby girl, yay! “But mom it was soooo awesome I saw like a bunch of horse and I caught a lizard and a bird!! 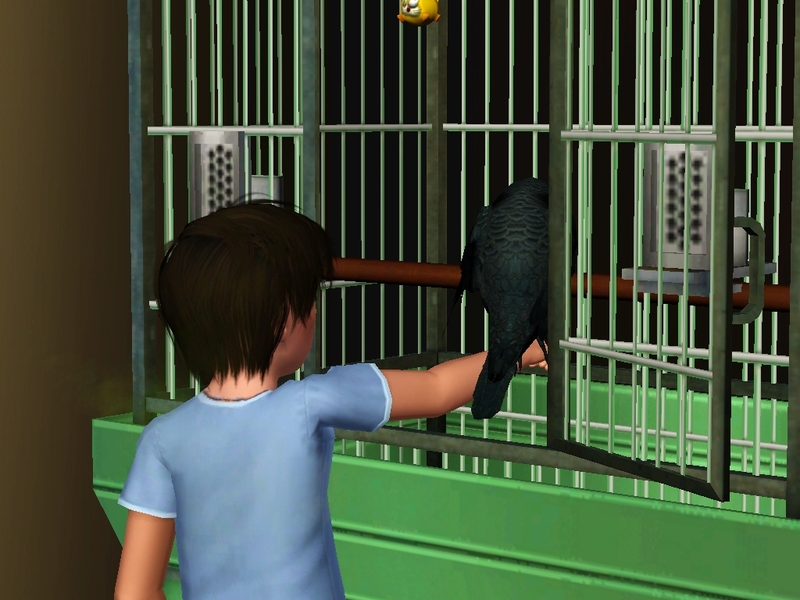 Can I have a cage for them and all, since you know I got an A on my last report card!” Rosa sighed. “Just go to bed we’ll talk about it later.” She was exhausted, too much stress!! She’s been taking care of the triplets all day long and then her second oldest son stays past curfew! Through the mist of it all Rosa had forgotten it was her birthday. So a gift to herself she decided to cut her hair, and yes she cut her own hair. Three years after Alfie was sent to jail, Leo decided to get himself another haircut. 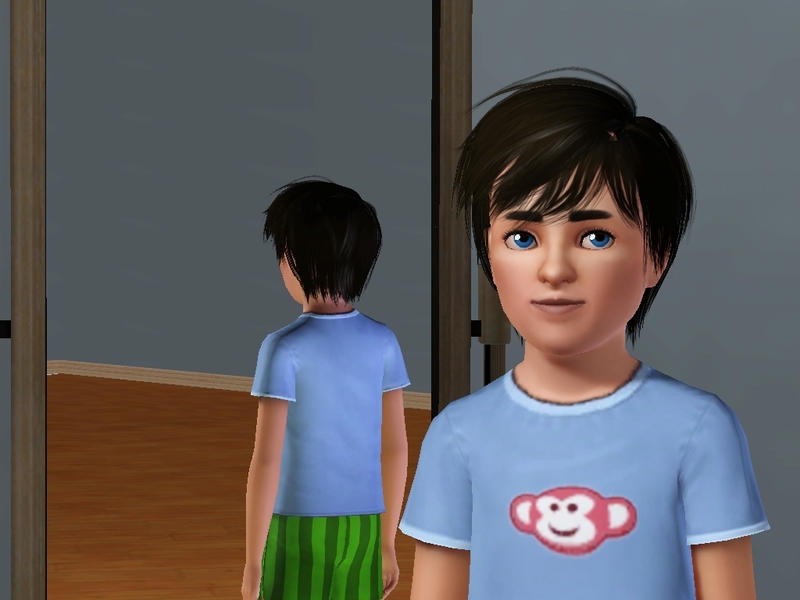 He didn’t want to look like his criminal father anymore. There was enough jokes about it at school. 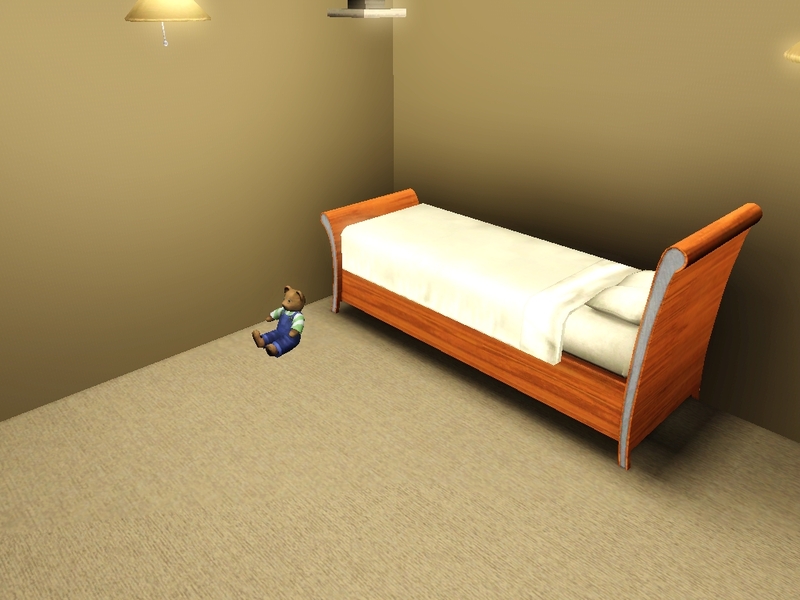 His father was never coming back, he was sure of it. 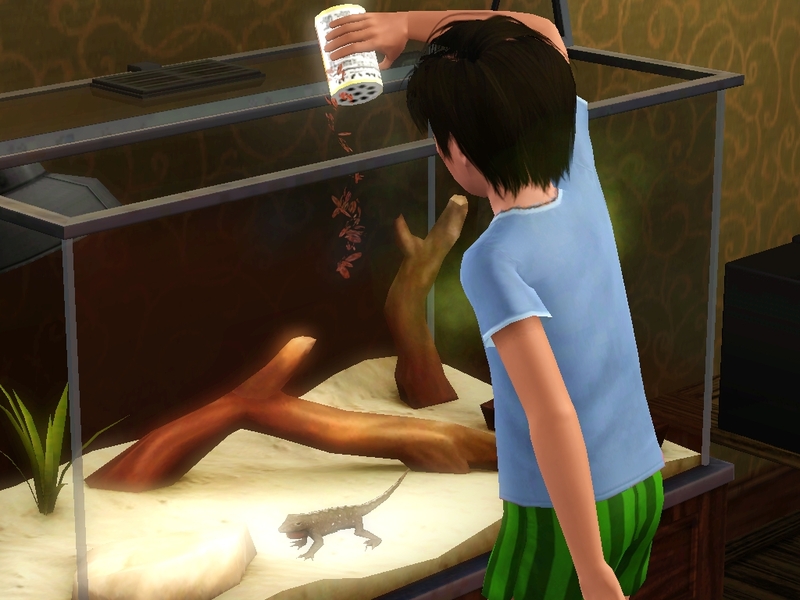 Patrick finally convinced his mom to keep the pets. She accepted but under certain conditions, that the lizard be out in the kitchen for everyone to see, the crow be in his room so it wouldn’t walk anyone out and that he took care of them! Patrick promised all those things. 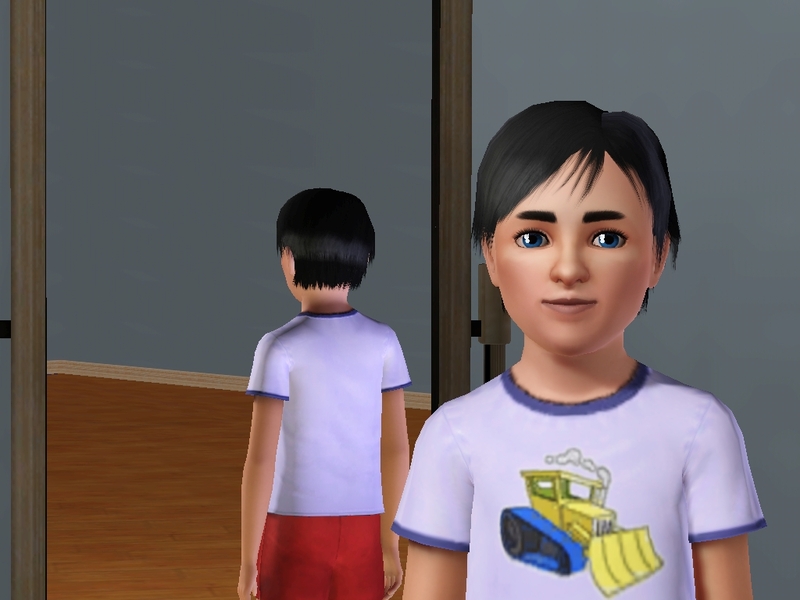 Okay okay I guess I spoke too soon, This is Cole with his father’s hair and mother’s eyes. And Selana! 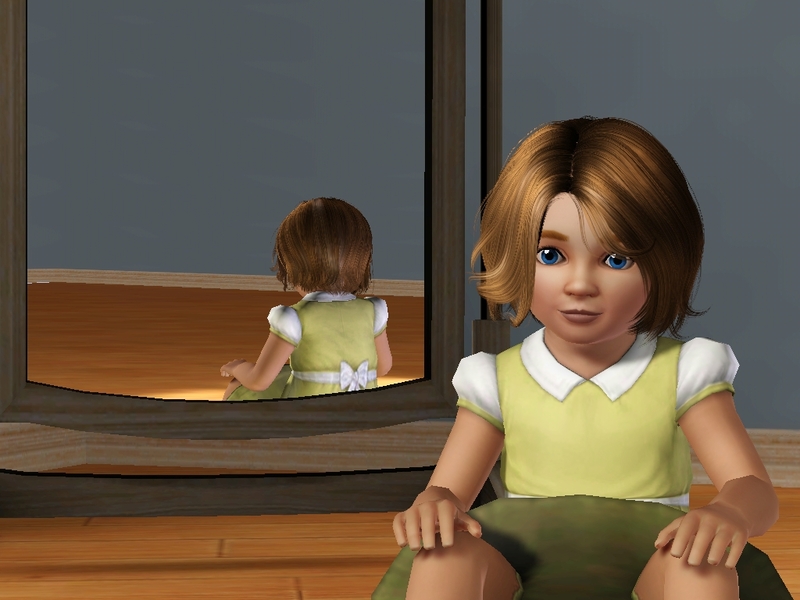 With her MOTHER’s hair and her father’s eyes. Aren’t they just adorable!! Annnnnddd Ethan’s baby is born. The triplets were horrible!! They kept Rosa up all day and night, the only time she got sleep was two hours before the triplets brothers got home from school. Magically the triplets would start playing together like good little kids. 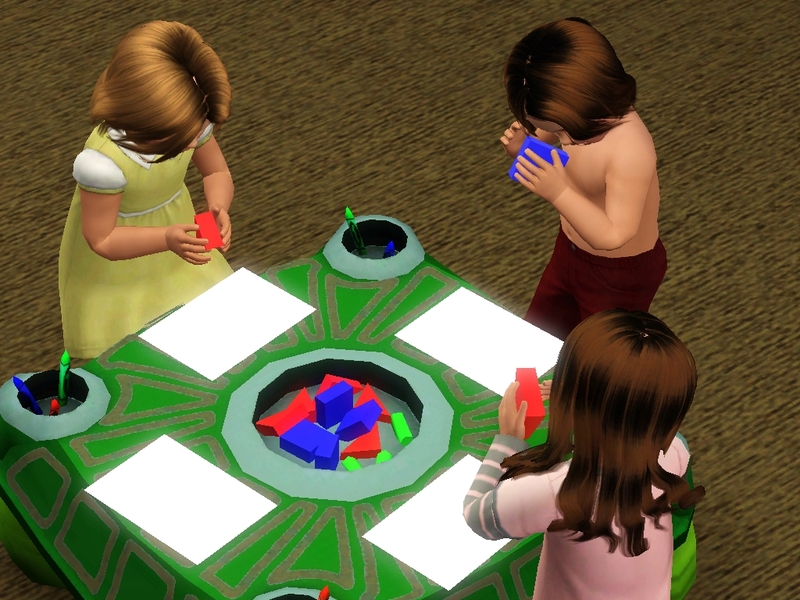 Rosa hadn’t expected them to be even worse as toddlers! It had been fine with Leo and Patrick, but now there were three! She wasn’t sure she’d be able to survive much longer. Leo spent less and less time at home because of the screaming babies. He’d actually made a good friend, Kylee Ursine. 7 Responses to Chapter 1.11 – Three too many! Love this legacy! The triplets are adorable 😀 Patrick is so cute with his love for animals! The triplets are adorable ❤ And I'm enjoying seeing the children's personality's show through. Aww the triplets are all so cute! I really didn’t expect it! 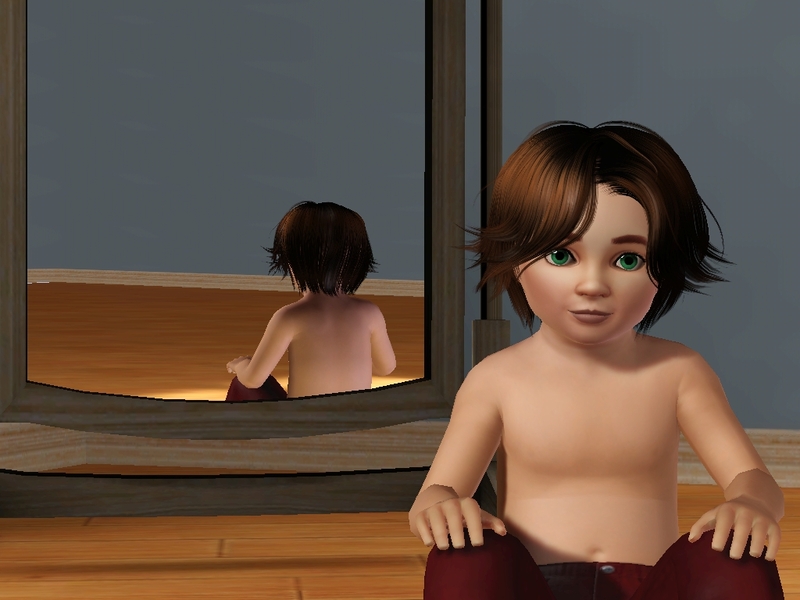 Triplets, I was hoping for at least twins but not triplets! Boy were they a handful!